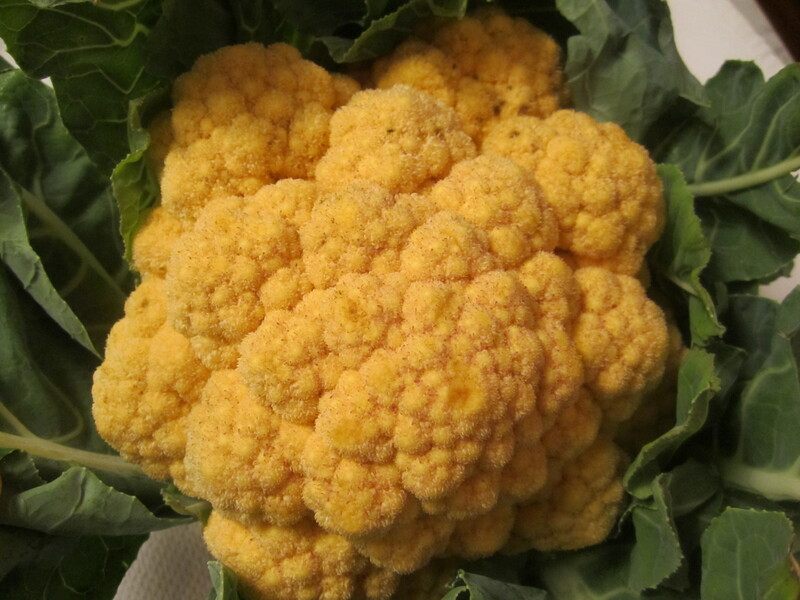 There’s a gorgeous variety of yellow cauliflower at my farm stand that intrigues me. I don’t know that there’s any difference in flavor between yellow and the traditional white, but (they claim) it’s richer in vitamins (beta carotene) because of its yellow color. This time of year, both varieties of cauliflower are mild and sweet, and either one will do for this recipe. 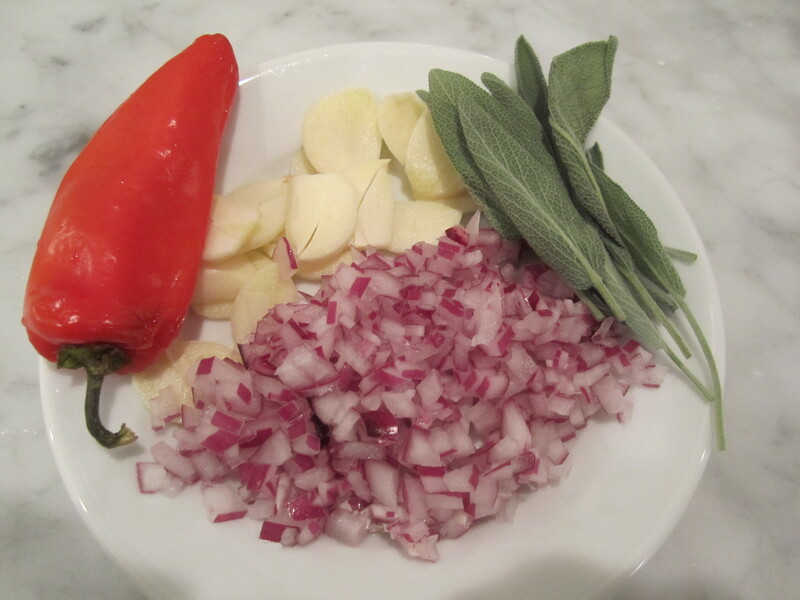 Sage is another prominent flavor in this dish–it goes so well with cauliflower. It’s earthy, aromatic, and imparts such complex woodsy flavor to anything it touches. 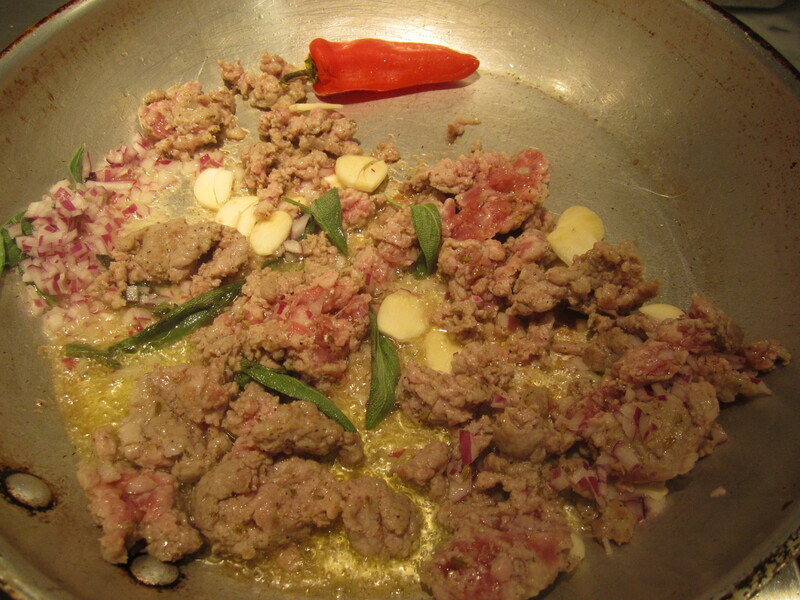 In this dish, pork sausage is removed from its casing and lightly browned in olive oil, along with sage, garlic, finely diced onion, and a hot chili pepper (if you like). White wine is added, along with chicken stock, and all is reduced a bit. 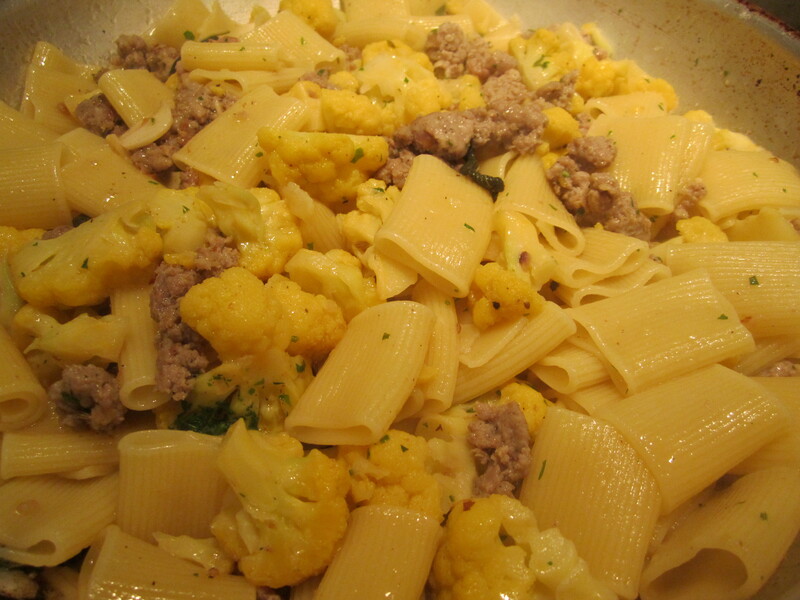 The cauliflower gets blanched in plenty of salted water, drained and added to the sauce and simmered, while the pasta cooks in the water from the cauliflower. This dish takes only about 20 minutes from the time the water boils, until it goes to the table. 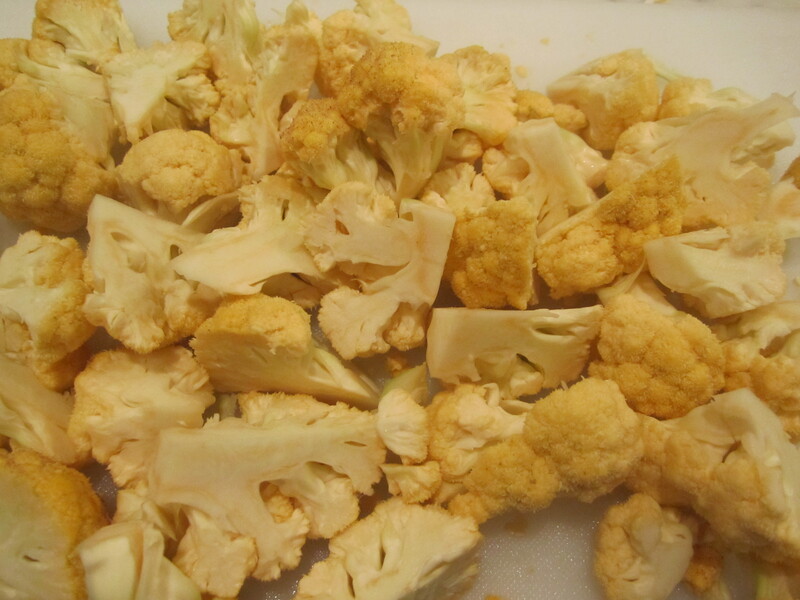 Since local cauliflower are available into winter, I make this dish frequently from fall through winter. You’ll be seeing more cauliflower recipes in the coming months. 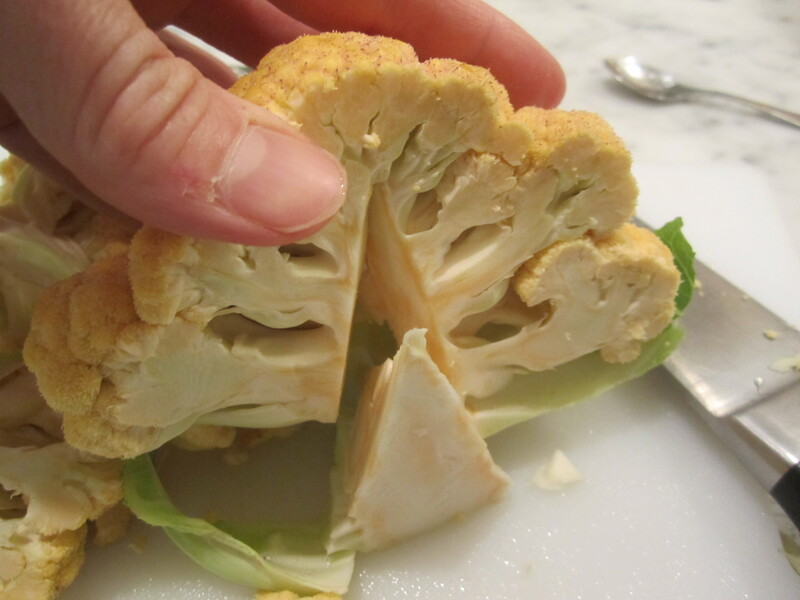 Remove outer leaves of cauliflower. Slice in half and cut out triangular core from each half. Drop into salted boiling water for 5 minutes. Drain and set aside. 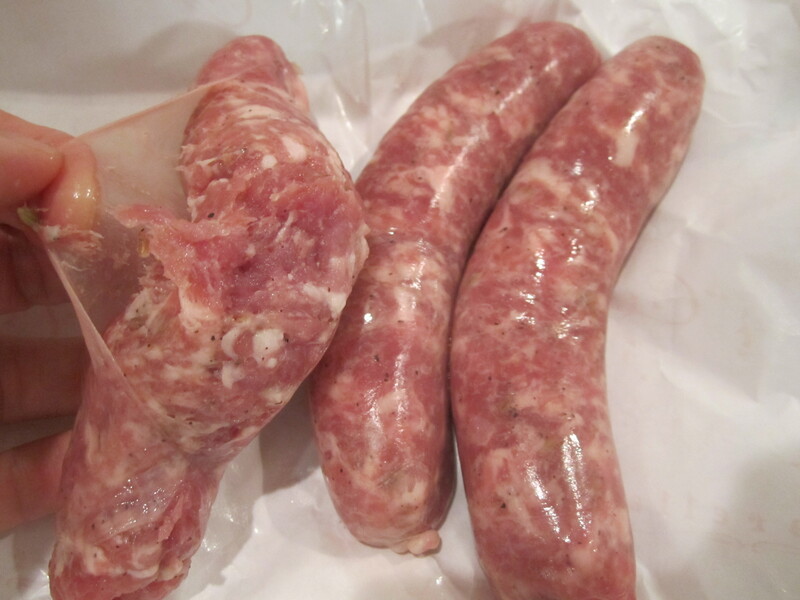 Remove sausage from casing by slitting casing and pushing meat out with hands. 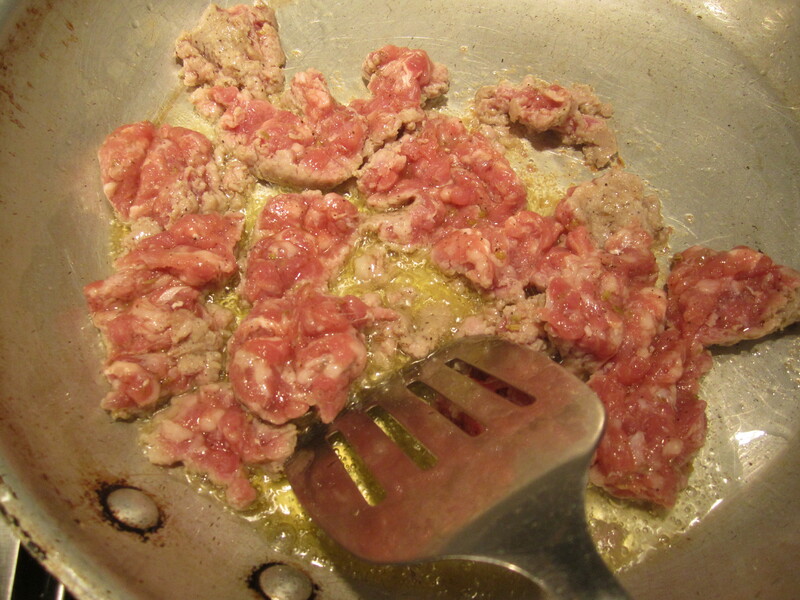 In a broad skillet, brown the sausage, while breaking up with a spatula. After about 3 minutes of browning (the meat needn’t be competely cooked through at this point), add onion, garlic and chili pepper (if using). Saute for about 5 minutes on low heat. Turn heat to high and add wine. Reduce wine for a minute, then add broth. 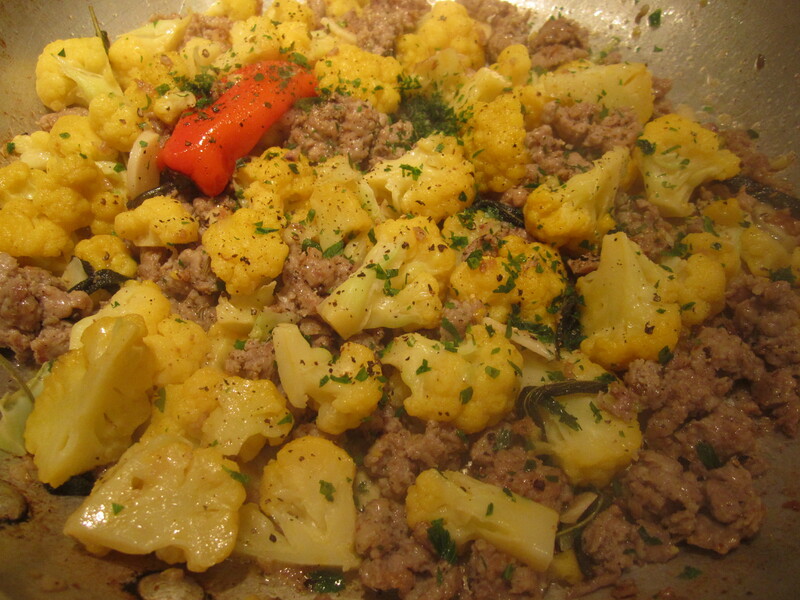 Add cauliflower to skillet and sprinkle with parsley. Simmer on low heat while pasta cooks. When pasta is done, add pasta and toss with a 1/2 cup pasta cooking liquid. Saute for a minute or so to amalgamate. 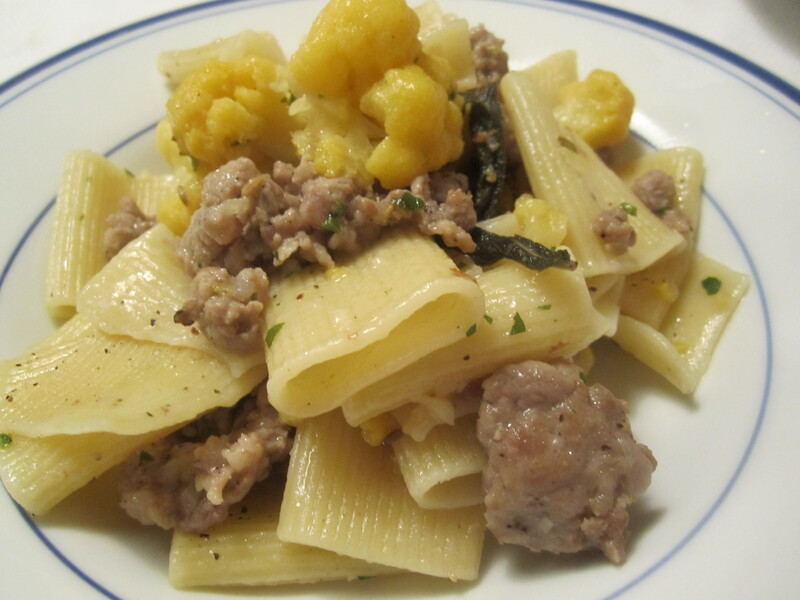 Serve with plenty of grated pecorino romano. I just found some purple cauliflower at a stand and wasn’t sure what to do with. Thanks for the idea! I will try it tomorrow.